Your breakfast briefing: Team USA, GoPro mouth cam and the shock passing of a tribe member. Good morning and welcome to the sixth episode of “Brekkie Bites,” your daily breakfast briefing. 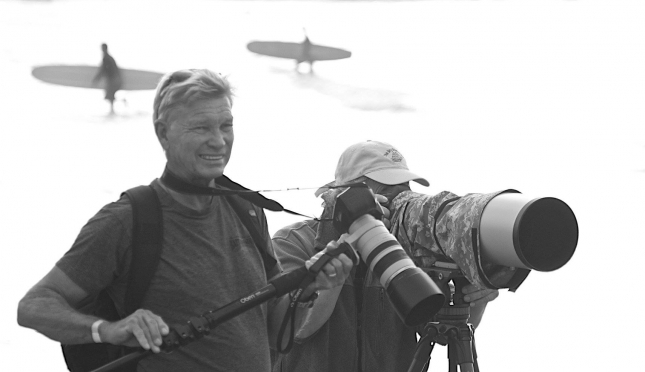 Today’s briefing starts on a heavy note, with news coming in that beloved SUP photographer and all-round good guy, Harry Wiewel, passed away while surfing on the weekend. Harry has been a fixture of the SUP community since before most of us even picked up a paddle, and his sudden death has been met with shock and sadness from the tribe. I first met Harry on the beach at Huntington in 2012 during the “Surf Race to Victory” event (remember that one?!). SUP Racer was less than a year old, but Harry generously offered for me to repost any of his amazing photos free of charge, which I very happily did many times over the next six years. This was a guy that took great photos of SUP simply because he loved the sport. Harry’s photographs have become synonymous with SUP racing over the years, and I’m sure we all remember seeing “Harry Wiewel photo” in squiggly text in the bottom corner of some of our favourite photos. He had a particularly strong presence at the old Battle of the Paddle, where the sight of Harry and his long-lens standing by the shore-break will be etched into the sport’s collective memory forever. Harry quietly went about his business but had smiles and good vibes for everyone he met, and he’ll be sorely missed by the entire stand up paddle community. Reports say he went SUP surfing at Bolsa Chica (near Huntington) but never returned. Condolences have been flooding Harry’s Facebook, and our thoughts go out to Harry’s wife, Shirley, family and friends. This was the first day I met Uncle Harry, he always had equal amount of time to make a new friend as he did to talk to an old one, he would stop to talk to every single person on the beach and never stopped smiling. He made me feel so welcome at PPG two years ago, as he did every year. I remember every time I would run from swimming at the start line to get to the hammer buoy to then run back to the finish, Uncle Harry and Glenn were standing on the beach cheering me on just like I was a racer all day 😂 I'm going to miss you Harry, you made the life of everyone you met better. And here’s one of my own personal favourite shots of Harry’s from the good old days of the BOP. Rest in peace, Harry, and thank you for all your smiles and shots from the shores of southern California. Hope you’re catching endless glides up above. After an unorthodox selection campaign, Surfing USA has finalised its squad for the ISA Worlds in China next month. The major change is that Team Hawaii has been merged into the United States, at least for this year, which offered the opportunity of an Olympic-style Dream Team. But while the marriage has landed superstar Connor Baxter in the stars & stripes, the other big names from Hawaii won’t be competing in China. Kai, Zane, Mo and Annie are all missing, either because they didn’t push for selection or simply weren’t interested. Americans Danny Ching, Slater Trout and Josh Riccio are also absent. The team still features a very solid lineup including an all-star women’s quartet – Fiona, Seychelle, Candice and Jade – but it may not have enough all-round polish to push the French and Aussies on top of the teams leaderboard. PPGs Pro Junior hero Tyler Bashor gets the big call up to fly the flag, but surprisingly he won’t be competing in the newly-created junior division — that honour goes instead to Ryan Funk. Rising sensation Jade Howson, who won a sprint bronze at last year’s Worlds in Denmark, will fill the junior women’s slot in China. Given the vagueness of the USA-Hawaii marriage and the uncertainty flowing from ISA headquarters to the national federations (due largely to their Olympic paddleboarding war with the ICF), Surfing USA only selected its squad last minute. 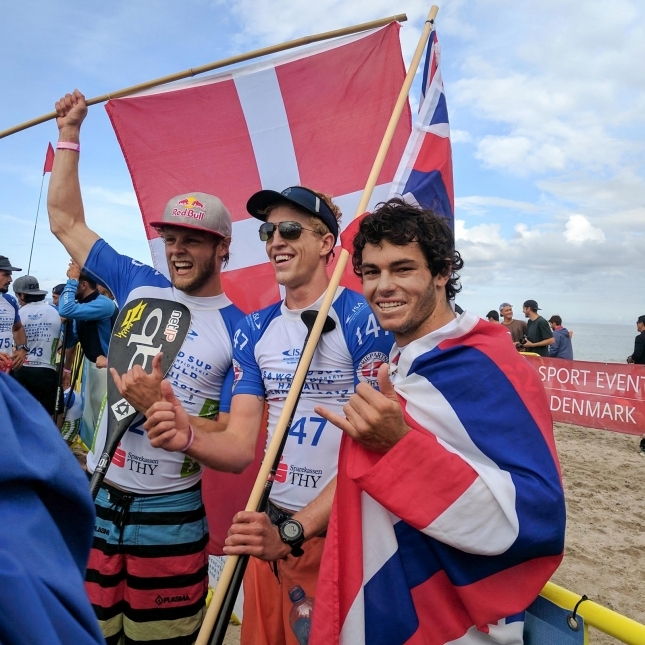 The criteria was loosely based on The Paddle League World Rankings and results of the big U.S. events, while the surfing team was decided at the USA trials held in June. Some athletes expressed frustration with how long the squad took to be selected and the uncertainty over qualifying criteria — and also at the logistical headache of competing in China, where some have paid $500 for a visa alone. We’re not sure how much longer Connor and Fiona will be on the same team, either. Oddly, the U.S.-Hawaii marriage may only last for one year. 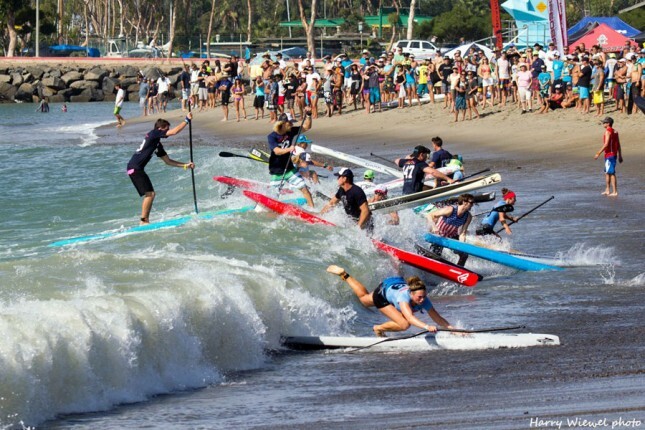 It’s been hard to get a clear answer on why teams were forced to merge — it’s not because Hawaii and the U.S. are the same country, but rather because China 2019 acts as a quasi-qualifier for the PanAmerican Games, which will be held next August in Peru and feature stand up paddle surfing and racing for the first time. But while Hawaii/USA makes logical sense (many scratch their head as to why the two were separated to begin with — it has deep roots the old-school days of surfing), other teams have been caught out in the cross-fire. There’s no word on whether Tahiti was told to merge with France (the Tahitians usually skip the Worlds anyway, and I can’t imagine them wanting to be team-mates with the Frenchies either way), but I do know the semi-independent island of Jersey, which finally got its own team last year, was frustrated at being forced to return to Great Britain (though Jersey was told by the ISA that it could compete independently once again next year). Confused yet? So are we. The Worlds will be held on the island province of Hainan from November 23 to December 2. That’s exactly one month from today. Finally, to finish on a lighter note, here’s a fun little P-O-V look at the epic Krumlovsky River Race in the Czech Republic, courtesy of yours truly and a GoPro mouth mount. Watch on Facebook below or click here to watch on the new IGTV. Last week’s Krumlovsky event was a real highlight of the year for me and probably many of the other 1,300+ competitors who charged down the river. Words don’t do it justice, so hopefully this clip gives you a little taste. I’ll be back with more Brekkie Bites tomorrow morning.